Grab a large bowl, add all meats salt , pepper and mix together. Add chopped carrot , onion , cheese , burger relish , caramelised onion. Mix together thoroughly and set aside. 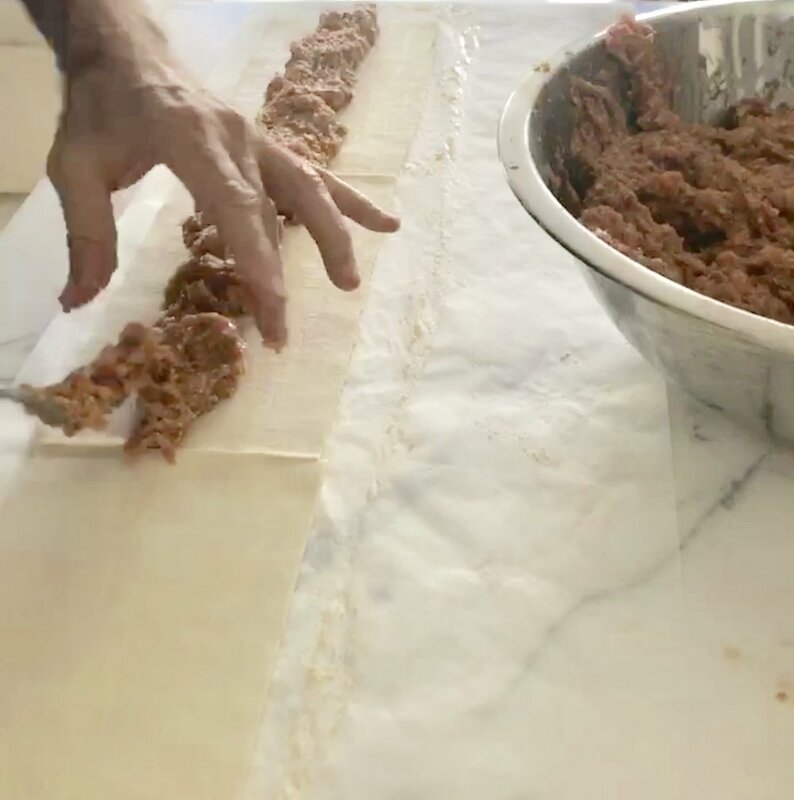 Lay out 3 sheets of pastry and cut in the middle to halve so you get 6 half sheets in a row, end to end. Place the mixture on the pastry with a falk and form a ribbon of mixture in the centre. Brush beaten egg on one side of the pastry and fold over. Then cut to desired size , place on a backing tray on baking paper . Brush sausage rolls with egg . 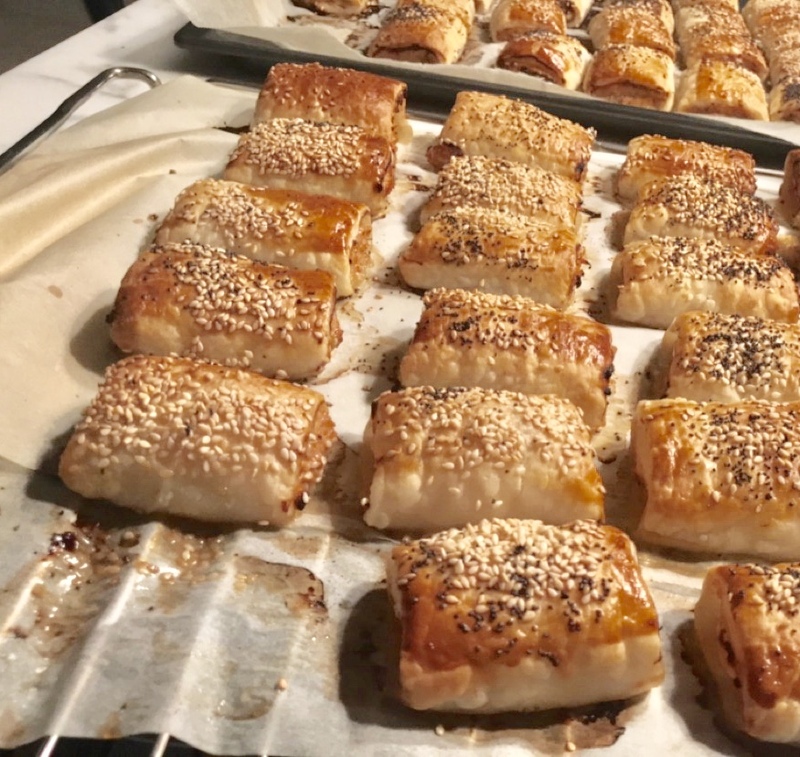 Origin of Sausage Rolls recipe! Andrew’s mother , Joan Norbury . Thank you to my mother in- law Joan for sharing your recipe that many friends and family have enjoyed eating.